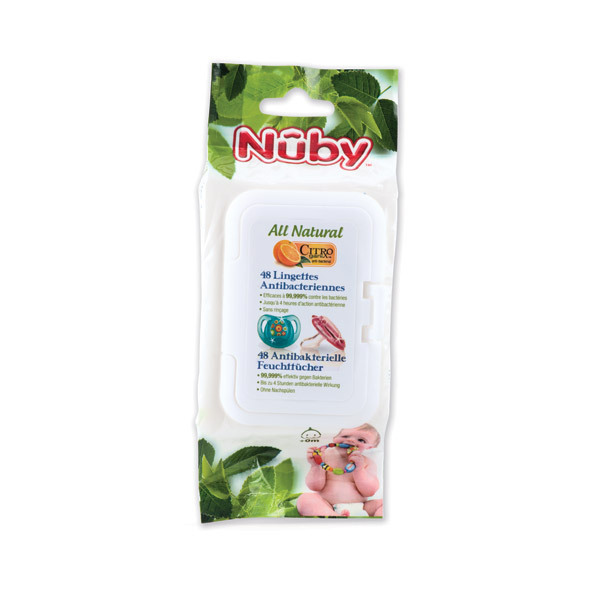 Nûby™ Pacifier & Teether Wipes are the most effective, All Natural wipes available for your baby. Unlike other wipes that only remove some of the germs, Nûby™ Wipes are 99.999% effective against germs for up to 4 hours. All Natural and Non-Toxic to your child, Nûby™ Pacifier & Teether Wipes provide the best protection available for your baby. Use biocide products with precaution. Before use, read the label and product information.